Today’s Flash Back Friday comes from Episode 144, from May 2013. Eleven out of 50 states have now introduced resolutions into their state legislatures calling on Congress to pass Marcy Kaptur’s H.R. 129 to re-instate Glass-Steagall, and South Dakota has become the first state to pass the resolution through both houses. 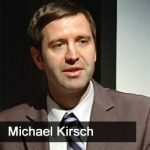 Jason interviews Michael Kirsch of LaRouche PAC about the efforts to reinstate the act. These resolutions have broad bi-partisan support, as the matter or bankruptcy reorganization of the banking system is a matter of national prosperity. Here is a state by state breakdown of co-sponsors for state resolutions, and national co-sponsors of Kaptur’s bill. These were inspired by normal citizens contact their elected representatives with the great need for action, and the more state legislators which can be inspired to put pressure in this way on Congress, the better. Glass-Steagall will enable the commercial banking system, though with a shrunken but purified capital, to become an agency of a national credit system guided by a chief lending institution for national infrastructure projects and associated industries. Listen for more information at: www.HolisticSurvival.com. Michael has written for a new credit Bank of the United States to lend for national industry and agriculture, modeled on the system of public credit of Alexander Hamilton, Mathew Carey, and John Quincy Adams, and Roosevelt’s Reconstruction Finance Corporation’s industrial loans. A video presentation of the history is available. It would broaden and define the guiding boundaries of the economy as a permanent coordinating agency for credit agreements, rather than serve as a special emergency institution.